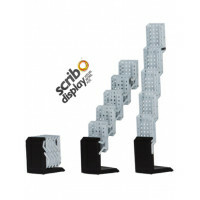 The usage of brochure holders to display brochures about products and services is a common sight now. However, it is important to ensure the durability, portability and reusability of brochure holders while purchasing the same. 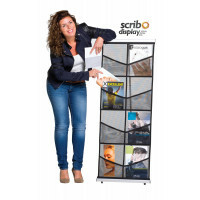 Scribo Displays offers you cost-effective, durable and impact resistant freestanding brochure displays of a high quality that can be assembled and dismantled easily. 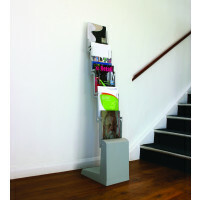 These freestanding brochure holders are completely powder-coated and can be stored in a padded bag with a zipper. 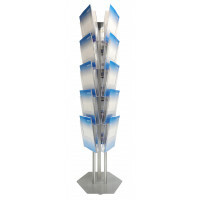 Our freestanding brochure holders impart a neat and orderly appearance to your promotional displays.  A cursory glance at our collection of freestanding brochure holders might help you to locate the most appropriate brochure holders for your trade show displays.